This entry was posted in Gourmet Food, Healthy Cooking, Organic Gardening, Recipes From The Garden and tagged fermented tea, how to make kombucha, kombucha, probiotic, recipes; kombucha flavorings, SCOBY. Bookmark the permalink. I’ve only tried kombucha once, a commerical drink, and really hated it, but I’ll probably give it another try. Probably an acquired taste, and I know it has so many good health qualities. By the way, if you ever want to share some already-published pieces on Flora’s Forum (from your extensive archives), as a regular feature, maybe once or twice a month, I’d love to have you as a “how-to” organic gardening expert. Author of ZERA AND THE GREEN MAN (Meet the girl who just says “no” to GMOs.) Weekly posts on Flora’s Forum Follow me. Thanks Sandra, I am truly flattered! Shoot me an email and we can figure out what might work well for your audience. I love sharing what I have learned about organic gardening and would be proud to contribute to your forum. 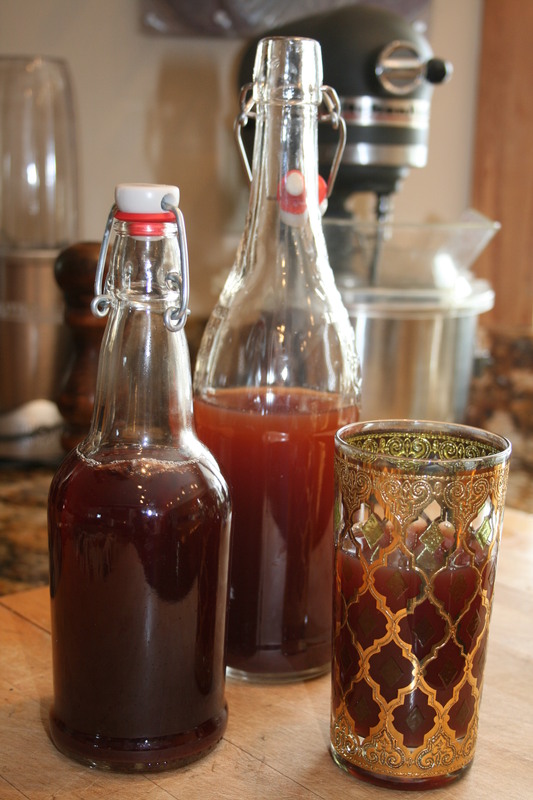 Wish you lived close enough to try some of my kombucha – it is delicious – sweet-tart and effervescent. Even my husband drinks it and that’s a big endorsement. Now I know what kombucha is! I absolutely love it. Great flavors and bubbles and it’s probiotic. I also love that one gallon of my home brew costs about as much as one bottle at the health food store! One more way for me to control what I eat and drink and have fun doing it. And oh so tasty. Bottled a batch yesterday that was almost creamy! Yum! !